Siemens' headquarters in Munich received a sustainable upgrade and a DGNB Platinum and LEED Platinum certification for its energy efficiency and green features. 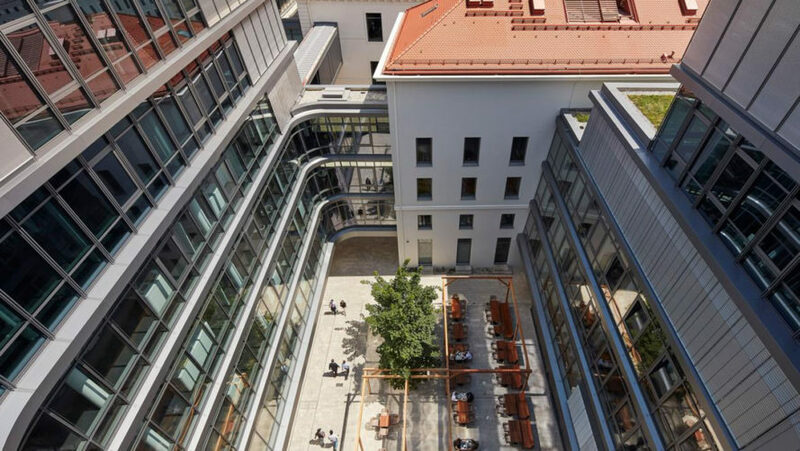 The company commissioned Henning Larsen Architects to re-structure the courtyard building at Wittelsbacherplatz in Munich, Germany, through a comprehensive sustainable strategy reliant on Siemens' eco-friendly technology, including solar panels and energy efficient lighting. 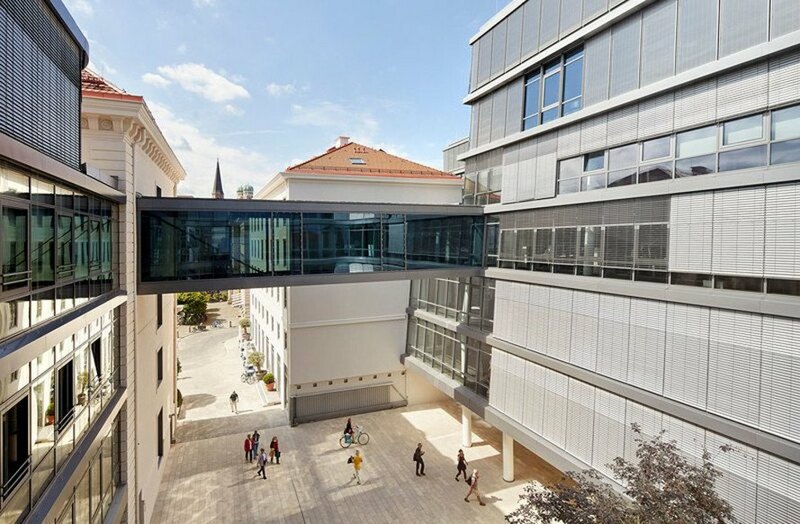 The building comprises a single volume with four rectangular courtyards and a publicly accessible ground floor that provides a new pedestrian connection between downtown Munich and the museum district. Floor-to-ceiling windows and a smart spatial organization allow employees to have visual connection to their colleagues throughout the building, while various open areas act as meeting spaces where people can collaborate across departments. Thanks to a holistic approach to sustainable design, the new building consumes 90% less electricity and uses 75% less water than its predecessor. Heating, ventilation, and air conditioning systems can be adjusted by employees, and thanks to the company’s smart building technology, data from 30,000 data points allow for a comprehensive insight into the daily energy performance of the building. The building comprises a single volume with four rectangular courtyards and a publicly accessible ground floor that provides a new pedestrian connection between downtown Munich and the museum district. Floor-to-ceiling windows and spatial organization allow employees to have visual connection to their colleagues throughout the building, while various open areas act as meeting spaces where people can collaborate across departments. Thanks to a holistic approach to sustainable design, the new building consumes 90% less electricity and uses 75% less water than its predecessor. Heating, ventilation, and air conditioning systems can be adjusted by employees, and thanks to the company's smart building technology, data from 30,000 data points allow for a comprehensive insight into the daily energy performance of the building.